Epidiolex is the first medicine containing cannabidiol available for prescription in South Carolina. Harlow Tighe and Matt O'Brien are planting hemp on a timberland farm in Fairfield County after receiving one of 20 first-year permits to grow it in South Carolina. South Carolina physicians are prescribing a medication containing a marijuana byproduct for the first time, following approval this summer from the Food and Drug Administration. 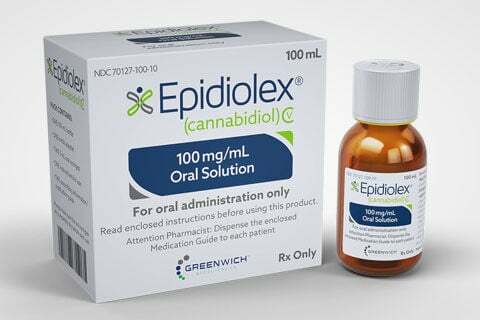 Epidiolex, manufactured by GW Pharmaceuticals, was approved by the FDA in late June, specifically to treat two rare forms of epilepsy. The medicine became available for prescription in early November, the first time a medication containing extracts from the marijuana plant has hit the market in South Carolina. The medication contains CBD. It is THC, not CBD, that is the component of marijuana that can get the user high. Epidiolex is approved for anyone 2 years old or older with two specific epilepsy syndromes. In late September, the U.S. Drug Enforcement Administration announced it would move Epidiolex into Schedule 5 of the Controlled Substances Act, which is the least restrictive option. Marijuana is still in Schedule 1. Leadership at the pharmaceutical company told investors in August the drug costs about $32,500 per year, Business Insider reported. GW Pharmaceuticals has said that cost is on par with other epilepsy drugs, and it has a patient support program to help make the product more affordable. The CBD-based medication is approved to treat Lennox-Gastaut syndrome and Dravet syndrome, both serious forms of epilepsy. Lennox-Gastaut, in particular, is resistant to many other medications, according to the National Organization for Rare Disorders. Both appear in early childhood. “Because these patients have historically not responded well to available seizure medications, there has been a dire need for new therapies that aim to reduce the frequency and impact of seizures," Justin Gover, GW Pharmaceuticals' CEO, said in a statement. Dr. Emma Grace Carter, a pediatric neurologist at the Medical University of South Carolina, has started prescribing Epidiolex. She said the approval of the drug is good news for patients with the two syndromes, who often try many medications in attempts to address their conditions. "Some of them are interested in it because they feel it’s a more natural medication," Carter said. "It’s another option to look into." She said Epidiolex is not going to be the first option specialists turn to. Rather, they will prescribe it when other medications have failed. Carter said her team has only been prescribing the medication for a short time, so it is hard to say yet how effective it will be among her patients. "We are hopeful about it, but we don’t have a lot of the clinical data ourselves," she said. News of the marketing of the drug comes several years after South Carolina's General Assembly passed a law to allow patients with severe forms of epilepsy to be treated with cannabidiol in clinical trials. The 2014 law gave those patients immunity from arrest. Meanwhile, a pilot program is underway in South Carolina allowing 20 farms to experiment with growing hemp. The majority of those permits allow for the farmers to grow hemp for the production of CBD to be used in medications, The Post and Courier reported. BlueCross BlueShield of South Carolina, the largest health insurance company in the state, does not yet cover Epidiolex. Dr. Matthew Bartels, chief medical officer for the insurer, said in a statement Epidiolex was still going through the internal review process for newly approved medicines. “This approach allows us to evaluate the drug’s effectiveness and safety in a population beyond the clinical trial participants," he said. "In the meantime, there are other anti-epileptic drugs available and covered, and we have processes to ensure that our members receive appropriately prescribed medications." Colleen Mullis, spokeswoman for the S.C. Department of Health and Human Services, said the drug will be covered by the state's Medicaid program, so long as it meets the FDA requirements. Medicaid covers mostly children in South Carolina. In South Carolina, 53,400 people and 7,100 minors have some form of epilepsy, according to the Centers for Disease Control and Prevention. At least one new trial involving the marijuana byproduct is underway in South Carolina: The Greenwood Genetic Center recently announced it is the site of a clinical trial studying how CBD can be useful to patients with Fragile X syndrome, which causes an intellectual disability. Merchants in the area are also beginning to sell recreational products containing CBD — including in cocktails and beers. A CBD pop-up shop dubbed the Curious Benefits Dispensary will debut with a night market in Avondale.